Extra storage space: cupboard with 3 overhead shelves in small corridor leading to bedrooms. One bedroom with double bed (1.40 m). 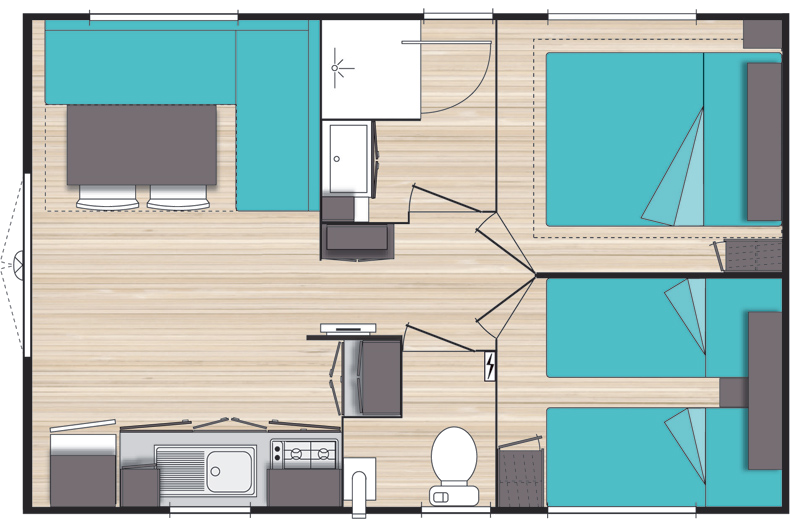 One bedroom with two single beds (0.80 m x 1.90 m). 2 terraces: one 8 sq. metre terrace built into the mobile home and one extension. Very wide bay window (nearly 4 m wide) overlooking the terrace. Pretty garden table with chairs. Very large plot averaging 140 sq.metres.